ChargePoint and McKinsey & Co. have put out studies in the past week offering an interesting look at the state of plug-in electrified vehicles and the charging infrastructure in the U.S. and abroad. California continues to be the leading U.S. market for registered PEVs on its roads, with about half of all battery electric and plug-in hybrid electric vehicle sales taking place there, according to the ChargePoint study. Georgia, known for its generous PEV incentives, was No. 2 on list. Washington was No. 3, but a surprising ranking was Oregon coming in at No. 9 when it’s been very competitive with Washington and California as part of the PEV charging highway infrastructure. Florida and Texas came in at Nos. 4 and 5 on list. Four other strong markets made the list with New York at 6, Michigan at 7, Illinois at 8, and New Jersey at No. 10. As for the PEV market growth, another surprising state made the list, with Utah at No. 1, followed by Nevada, North Carolina, Colorado, Kansas, New Hampshire, Pennsylvania, Virginia, Florida, and Arizona. ChargePoint compiled the report’s findings with date provided by IHS Market through the third quarter of 2016. Growth figures for these top 10 states represent growth over Q3 2015. As for cities seeing the strongest presence based on PEVs in operation, California had three of the cities, with Los Angeles at No. 1 over San Francisco at No. 2 (another surprise), and San Diego at No. 5. New York came in at 3, Atlanta at 4, Seattle at 6, Chicago at 7, Washington, D.C. at 8, Detroit at 9, and Portland, Ore., at 10. As for PEV growth cities, several of them are considered to be significant business centers for conferences and meetings. Charging stations are being installed at airports, hotels, retail stories, and workplaces, supporting regions that have economic growth and interest in PEVs. Las Vegas was the No. 1 city in PEV growth in the past year, followed by Kansas City, Raleigh/Durham, Denver, Miami, Phoenix, Philadelphia, Portland, San Diego, and Los Angeles. The charging company also reported on the Top 5 PEVs sold in the U.S. last year. The Tesla Model S was No. 1, followed by the Chevy Volt, Ford Fusion Energi plug-in hybrid, Tesla Model X, and the Nissan Leaf. 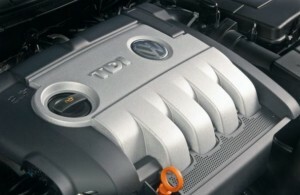 According to Baum and Associates and InsideEVs.com, it split at 53% battery electric and 47% and for plug-in hybrids. Gasoline prices were an interesting trend to see studied in the report. PEV sales used to be very tied to gas prices, but for over two years these prices have stayed down in and stable in the U.S. Consumers had been very interested in saving money. Now the sales chart shows that PEV sales have gone up as gas prices have stayed down. Consumers are interested in PEVs for reasons beyond gas savings, according to the study. A new study by global consulting firm McKinsey & Co. looked at where consumers in key markets, and automakers, see adoption of PEVs going in the next few years. Electrifying insights: How automakers can drive electrified vehicle sales and profitability digs into consumer tastes and interests, and where auto manufacturing is heading in response. Two studies were conducted with consumers interested in PEVs and consumers who own them. About 3,500 people were surveyed in the U.S., Germany, and Norway; and a second study was done with about 3,500 people in China interested in, and owning, PEVs. The core issue for automakers is being overwhelmed by new technologies to invest in to meet emissions standards around the world, and to prepare for growing interest in PEVs of all types. As automakers invest a great deal of capital in fuel efficient technologies like start-stop, turbocharging, and lightweighting, investing sufficiently in battery packs and other needed components loses some of its value. That’s been intensified by growing interest in connected, autonomous vehicle systems. About half the surveyed consumers in the U.S. and Germany say they understand how PEVs work. Between 30-and-45 percent of vehicle buyers in the U.S. and Germany, respectively, have considered a PEV purchase. Strong demand is being seen in Norway and China, where incentives have been ample and have been seen in sales results. The study sees reaching the other half of consumers in these countries to be an important opportunity, but the message will need to be revised. Making batteries with more capacity will be a big part of getting past limited sales, and getting their cost down for manufacturers is part of it. The study says it’s costing automakers about $13,600 for the battery pack with 60 kWh of power. There are other costs that go into it such as the electric motor, high-voltage wiring, on-board chargers, and inverters. There’s also keeping it all within economies of scale. Adding a new PEV and building it at decent numbers means a lot of capital being place in opening up a new factory, or opening lanes at an existing plant, tooling, R&D and getting the product to market through dealer networks retail stories, and launching marketing campaigns. Premium luxury cars by Tesla Motors and a few competitors are taking a lot of the sales, but there’s been a bit of a void for consumers interested in a wide selection of small cars, SUVs, and crossovers. McKinsey sees this as one of the opportunities, especially for consumers living in cities looking for more options and spending less on their vehicles. Automakers and dealers would be smart to sell PEVs from a different perspective. Instead of purchase price and lease deals, focusing on total cost of ownership (TCO) would be a better way to go. For example, PEV owners are typically paying about 20% to 40% less on maintenance costs over a five-year period compared to vehicles with internal-combustion engines. Growth in ride-hailing, carsharing, and peer-to-peer car rental are expected to have strong PEV market potential, according to McKinsey. The study found that more than 30 percent of consumers surveyed would prefer a PEV model over an ICE when using ride-hailing services such as Uber and Lyft; and about 35 percent would pay a premium to ride in a PEV. Carsharing provides an opportunity to get consumers to try out a PEV through promotional offers. Companies such as Maven, Zipcar, and Car2go could tap into this market potential. Another service to provide could be P2P (peer-to-peer) car rental. Consumers who own a PEV could make money renting out their car when it’s not being used. Utilities supporting charging: California’s three large investor-owned utilities have asked the California Public Utilities Commission to support more than $1 billion in funding for electric vehicle charging stations. Southern California Edison asked for permission to collect $570 million from customers over five years to pay for equipment installations supporting about 1,800 charging stations for electric trucks and other projects. Pacific Gas & Electric requested $253 million to meet several objectives including charging systems for electric buses and delivery trucks. San Diego Gas & Electric applied for $246 million for installation of up to 90,000 charging stations at single family homes in the utility’s service area; and other projects, including installing up to 45 charging ports to enable electrification of about 90 new pieces of ground support equipment at San Diego International Airport. The utilities intend to install thousands of chargers at homes, workplaces, airports, and port locations. It ties into the state’s goal of cutting emissions to 40 percent below 1990 levels by 2030. No recall for Tesla: Tesla Motors was cleared by the National Highway Traffic Safety Administration following an investigation over the fatal crash in Florida last May where the driver had been using Tesla’s Autopilot semi-autonomous system. Investigators didn’t find a defect in Autopilot requiring a safety recall for Model S and Model X owners who have purchased that option. NHTSA analyzed changes made to the system since the crash, including how the crash rate dropped by nearly 40% for the Autosteer component, which can safely change lanes, became available. The crash rates in the study compared airbag deployment crashes before and after Autosteer installation. Wireless charging: Automakers, Tier 1 suppliers, and technology companies have reached agreement on the upcoming SAE Recommended Practice Wireless Power Transfer and automated parking alignment and charging of electric vehicles. Taskforce members have agreed on specifications for the SAE J2954 Test Stations; automakers will use that standard as a basis to develop their wireless charging systems, and to make sure they can interoperate with charging systems and vehicles sold by other automakers. The meeting held in Ingolstadt, Germany, is expected to set the foundation for moving wireless charging forward. Several automakers, suppliers, and technology providers see wireless charging being pivotal in helping move forward both electrified and autonomous vehicles. ZEV rules in Quebec: Automakers are upset that the Quebec province has followed a mandate similar to California and nine other states’ zero emission vehicle policy. Starting with the 2018 model year, 3.5% of all vehicles sold in the province will need to be all-electric, plug-in hybrid, or hydrogen fuel cell vehicles. That bumps up to 15.5% for 2025 models. Companies that don’t hit the marks will have to buy credits from automakers that do. Penalties for failing to comply haven’t been spelled out yet. The legislation, which was passed last October, should be delayed, according to David Adams, president of the Global Automakers of Canada. Electric vehicle sales make up less than 1% of new vehicle sales in Quebec and 0.5% of all new vehicle sales across Canada. EPA chief nominee: Scott Pruitt, the Oklahoma attorney general being considered as the new EPA administrator, is working at taking a more civil approach in his new role (which still needs Senate approval). He’s pledged to be a good listener and lead the agency “with civility,” especially when dealing with controversial issues like climate change and the EPA’s decision on the midterm review of 2025 mpg standards. He said the EPA’s proposal to finalize light-vehicle greenhouse-gas standards for 2022-25 model-year vehicles just 14 days after the comment period expired was a bit rushed and “merits review.” In related news, the EPA was sent a notice by the new administration temporarily halting all contracts, grants and interagency agreements pending a review, according to sources. The EPA’s Office of Administration and Resources Management ordering the freeze on Monday. It’s not known yet whether this move will have an effect on the auto industry. Elio Motors reports losses in SEC filing: Elio Motors has been taking losses in the past year, which has been investigated by a news channel in its corporate hometown. Local news channel KTBS in Shreveport, La., found in a Securities and Exchange Commission filing that the three-wheel carmaker had $101,317 in cash and about $123.2 million in accumulated deficit as of Sept. 30, 2016. The document also reported having about $6.8 million in cash and a deficit of about $2.3 million as of Dec. 31, 2015. The news channel also found that the company has once again postponed the launch of its affordable, 84 mpg three-wheeler, this time until 2018. Renault-Nissan top spot: Renault-Nissan has sold more than 400,000 electric cars globally and has plans for further investments to maintain its market lead, CEO Carlos Ghosn told Reuters on the sidelines of the World Economic Forum in Davos, Switzerland. “We are going to increase investment, we are going to have lot of new cars coming, better batteries, better performance, lower prices,” he said. Nissan’s Leaf opened up the auto industry to a mass produced all-electric vehicle, which was followed two years later by alliance partner Renault’s Zoe, a hatchback subcompact. CARB on midterm review: The California Air Resource Board last week published a 667-page Midterm Review of Advanced Clean Cars Program report. It finds that the state’s original intentions are being met, and the elements are in place to continue making advancements well beyond the 2025 target. The CARB staff, “recommends that California make a major push now to develop new post-2025 standards while working with automakers, federal regulators and partner states to further develop the market for electric cars,” according to a statement. The report also addressed the state’s zero emission vehicle policy, stating that more support is needed to grow the charging infrastructure. The agency will likely be pleased with proposals submitted this week by utilities to grow the state’s infrastructure. Ford PHEV vans: Ford has established a 12-month trial with the Transport for London agency’s fleet. Ford will provide 20 plug-in hybrid electric vehicle Transit Custom vans that the automaker says improves fleet productivity while reducing emissions. Scheduled to start in the fall, the test project will receive 4.7 million pounds ($5.9 million) in UK government funding. Ford and Transport for London will invite commercial fleets into the trial project. Infiniti performance EV: Infiniti is getting ready to roll out its very first electric car, though the launch date and other details have yet to come out. In 2012, the Nissan luxury division showed the LE electric concept car that was supposed to roll out in two years, but has yet to show up. Infiniti boss Roland Kreuger says he’s driven the prototype of this electric car as it’s “very good.” Krueger does however note that this is an “early” prototype, meaning its years away from production. The company will tapping into Nissan’s electric car technology, but will build a dedicated platform for the Infiniti model. Autocar and InsideEVs did a bit of speculating on it: it could be a 2020 Infiniti performance battery electric vehicle with its own platform packed full of Nissan’s EV tech. If you were to study the U.S. Energy Information Administration’s chart on transportation sources/fuels used during 2015, it could end up being depressing – unless you’re set up to do well investing in petroleum. 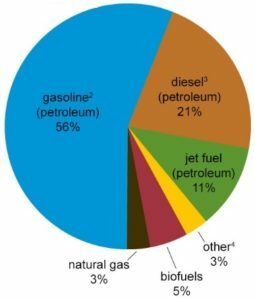 If jet fuels were removed from the chart, the share of gasoline and diesel would increase and dominate the pie chart even more; the other categories would increase, too. Biofuels and natural gas lead the way in alternative fuels, while electricity and propane autogas are lumped together in the “other” category, along with a few other types. If you were to look at what’s fueling electric power plants, renewable energy is in a similar situation compared to fossil fuels; though it has gotten better. The market is also showing real signs of getting better for clean fuels and energy over the next decade or more. 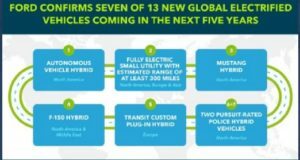 Several new electric, fuel cell, and alternative fuel-modified vehicle models will be launched and produced in higher volumes; the charging and fueling infrastructure will continue to grow; and breakthroughs in advanced fuels, renewables, and technologies are beginning to see positive signs of reaching commercial-grade production. Trump and economics: The Trump administration is clearly unsupportive of decarbonization, renewables, and other clean fuels. But the market forces appear to be large enough to more than compensate for the impact of a fossil-fuel friendly administration, and whichever man or woman follows Trump to the White House in the next decade. “Based on the signals it has sent so far, the administration seems to have little incentive or appetite for getting in the way,” Matt Tomich, who was appointed Energy Vision’s president last year, wrote in a recent GreeBiz.com column. That level of investment is substantial; while Silicon Valley and other venture capital groups pulled away from renewables and electrification starting in 2008 (and over to mobile apps and devices), some of them are coming back. That can be in alliance with a few government entities as well. China invested $100 billion in renewables last year, according to Tomich. Clean energy is surging toward becoming a multi-trillion-dollar market; and the U.S. is seeing renewables generate more energy than any other country except China. Along with clean energy, Energy Vision is projecting that several promising renewable energy markets are emerging, including renewable natural gas. It burns as cleanly as geologic natural gas and can use the same pipelines for delivery. It’s made from biogas emitted by decomposing organic materials such as farm waste, food waste and municipal wastewater, which are renewable, ubiquitous resources, Tomich said. RNG and RD: Renewable natural gas and renewable diesel are seeing incentives increase, and demand for the fuel growing from fleets. California’s low carbon fuel standard includes them as qualifying fuels, which helps infrastructure suppliers make that investment. In October, the city of San Diego joined a growing list of cities in California adopting renewable diesel. As part of the city’s goal of cutting its greenhouse-gas emissions in half by 2035, it will soon fuel its entire municipal vehicle fleet with renewable diesel, making it the largest in the nation to embrace the clean fuel. 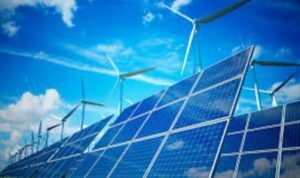 Renewable energy: Scientific American recently reported that renewable-energy sources such as solar and wind are expected to account for 8% of U.S. electricity-generation capacity in 2017, according to the U.S. Department of Energy. Solar growth is behind much of it. For the first time ever, new solar-generating capacity is expected to exceed new generating capacity for wind and natural gas, according to the report. Advanced batteries: Lithium-ion batteries are starting to see improvements being deployed in new electric vehicles for better energy storage capacity, with more technology innovations just around the corner. Along with lithium-iron phosphate batteries, researchers are fascinated with the potential of nanotechnology. In Europe and the U.S., innovative nano-material based supercapacitors are set to bring mass market appeal for PEVs much more possible; with graphene being well received as a potential nano-material. The amount of energy in which supercapacitors are able to store is generally about 10% that of electrochemical batteries. The ElectroGraph project is being supported by the European Union and a consortium of 10 partners from research institutes and industries. One of their main objectives is to develop new types of supercapacitors with significantly improved energy storage capacities. Wireless charging: Some analysts see wireless electric vehicle charging being as, or more, important than fast charging in supporting adoption of plug-in electrified vehicles (PEVs). Some automakers are showing interest, but mass adoption is still years away. Mercedes-Benz will be the first on the market, offering wireless charging on its S550e plug-in hybrid this year. Wireless uses inductive charging with two coils of wire in two objects, such as a pad on the electric car connected to its battery and a separate pad on the ground. When the pads are close enough, an electromagnetic field transmits current and charges the battery. Suppliers, including Qualcomm, Momentum Dynamics, and Evatran Group, are in talks with automakers about integrating this technology into their product planning. Advanced biofuels: Signs are in place that producers are adopting advanced fuels over traditional corn-based ethanol that makes up about 10% of gasoline sold in the U.S. Cellulosic ethanol has major corporate backing from DuPont, POET, and Abengoa. Synthetic Genomics and ExxonMobil recently extended their agreement to conduct joint research into advanced algae biofuels after making significant progress in understanding algae genetics, growth characteristics, and increasing oil production. Gevo, Inc., just announced that the U.S. Environmental Protection Agency has approved the pathway for isobutanol produced at Gevo’s Luverne, Minn., plant to be an advanced biofuel under the Renewable Fuel Standard program. The company also announced that a 12.5% blend of its bio-isobutanol with gasoline marketed for use in automobiles has begun to be sold in the Houston area. PEV sales volume: More than 700,000 PEVs were sold in China, Europe, and the U.S. last year, with China in first place and about double the size of U.S. sales, then came the U.S., Norway, U.K., France, Germany, Netherlands, Japan, Sweden, and Canada. Sales numbers have been shooting up in the past two years, with incentives and a wide variety of PEVs available, driving growth in China. The U.S. and Europe are also seeing impressive gains. If this trend continues over the next 15 years, PEVs will make a decent share of global new vehicle sales, well beyond the current level of about 1% of global sales. Long-range: The Chevy Bolt and Tesla Model 3 were thought to be bringing the future of longer-range rides in a PEV to the market. That’s already starting to be seen with the Chevy Bolt getting a 238 miles per charge rating by the EPA. The new Renault Zoe all-electric small car was launched last year with 250 miles per charge based on Europe’s NEDC standards, which would be less in the U.S. under EPA standards. While it will take until the end of this year for the 200-mile plus Model 3 to roll out, Tesla just broke through another barrier – the 300 miles per charge level. Tesla just launched a Model S 100D with 335 miles of range per charge and a starting price of $95,800 (plus destination) before incentives. It’s powered by a 100 kWh battery, and is awaiting an official EPA rating on its range following the agency’s preliminary estimate. The electric automaker also launched the Model X 100D with a 100 kWh battery and 295 miles of range, based on the preliminary EPA estimate. Volkswagen, BMW, Daimler, GM, Ford, Toyota, Nissan, and Honda have each committed to launching an impressive lineup of PEVs through 2025. Startups like NextEV, Lucid Motors, Faraday Future, and Fisker, Inc., are preparing for their first wave of launches taking on Tesla in the high-performance end with bragging rights for the fastest, longest-range all-electric supercars on the market. Charging by speed and energy source: As of one year ago, Tesla had 253 Superchargers installed in the U.S., there were 1,530 CHadeMO chargers, and 387 CCS/Combo fast chargers in place, according to Fleet Carma. That number has gone up in the past year and makes up over 10% of what the Department Energy says makes for a total of 15,315 charging stations in the U.S.; with Level 2 chargers also being a significant growth area in recent years. Utilizing renewable energy sources to charge PEVs still has a long way to go, but the current numbers became more impressive over the past year. California makes up about 50% of PEV sales in the U.S. Last year, about 27% of its electricity retail sales were powered by renewables including solar, wind, geothermal, biomass, and small hydroelectric. The state’s aggressive Renewables Portfolio Standard is aiming to reach 33% by 2020 and 50% by 2030; which looks possible to accomplish. Another factor to consider is that a lot of PEV owners charge their vehicles through their own clean power source, usually solar panels on their houses. New hydrogen fuel cell alliance: Fuel cell electric vehicles are way behind PEVs and other alternative fuels in vehicles sold in the U.S., Europe, and Japan. Automakers are still dedicated to the fuel and technology, though, as spelled out recently in a KPMG study. That became more evident last week when Toyota, BMW, Daimler, Honda, and Hyundai, announced that they’re joining up with several other companies to invest a combined $10.7 billion in hydrogen-related products within five years. 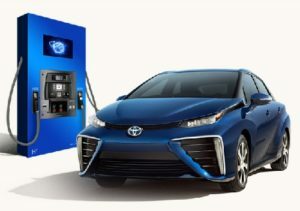 Thirteen automakers, and energy and industrial companies, are forming a hydrogen council to support hydrogen fueling and FCEVs; and to provide another channel beyond battery power to hit the zero emission vehicle mark. Other OEM alliances: Other FCEV alliances were created in recent years with General Motors and Honda exchanging patents. Toyota and BMW created an alliance to share technology and funding. Another consortium had been set up with Nissan, Ford, and Daimler. It’s been a slow process, with Nissan announcing its first fuel cell cars many not come out until 2020 or the next year. A fuel-cell version of Daimler’s Mercedes GLC may be launched this year; however, it isn’t clear whether its technology is a result of the partnership with Nissan and Ford. Hydrogen stations: Nikola Motor Co., which operates hydrogen fuel cell semi-trucks, will be rolling out a nationwide network of hydrogen fueling stations that will be accessible to other fuel cell vehicles, the company recently announced. That would increase the U.S.’s present status of 33 hydrogen stations more than 10-fold to 364 more stations built by Nikola. This infrastructure network will begin construction in a year, in January 2018, and will begin opening in late 2019, according to CEO Trevor Milton. Toyota, Honda, Hyundai, Mercedes, and other automakers developing fuel cell cars, will be very interested in seeing this happen. Propane autogas: According to a study prepared for the U.S. Department of Energy, propane vehicle sales are expected to increase from 12,900 in 2014 to about 34,750 per year by 2020, and then to about 52,500 vehicles per year by 2025. Market segments include fleets using light-duty and medium-duty work trucks. While the introduction of new vehicles and engines has been slower than anticipated, and greater market penetration will be delayed somewhat by the decline in the propane fuel cost advantage caused by lower oil prices, the availability of new emissions-certified engines and the growing acceptance of propane vehicles by commercial vehicle fleet operators, irrigators, and commercial landscapers will lead to continuing growth in these markets. Roush CleanTech has found converting and selling propane-powered school buses to be taking off in the market, along with its propane vans and heavy-duty pickups. It took the company six years to sell over 14,000 propane vehicles, but the company is on track to sell 6,000 more vehicles converted to run on propane autogas by the end of 2017. The company says that it’s been able to make the business case that propane makes for a better, more cost effective alternative fuel than compressed natural gas. Natural gas: Earlier this month, NGVAmerica commended the release of a new study by scientists from West Virginia University’s Center for Alternative Fuels, Engines and Emissions. The study published online by Environmental Science & Technology was supported by the Environmental Defense Fund and numerous organizations from the natural gas industry, including a variety of NGVAmerica members. The industry is seeing significant advancements where technologies are being deployed in the latest generation of natural gas engines and fueling infrastructure. These are dramatically lowering emissions, providing North American fleets with the ‘greenest’ choice, said NGVAmerica President Matthew Godlewski. The industry group also commented on the fact that the WVU study did not examine the increasing role renewable natural gas that can reduce total GHG emissions by more than 80%. NGVAmerica estimates that 20% to 30% of all natural gas used for transportation is now RNG. Refuse giant and NGVs: Waste Management this month released its annual sustainability report, which announced that the company recycled and composted more than 14 million tons of materials from the waste stream in 2015; and as a company, Waste Management is a net greenhouse gas reducer. Its fleet uses more 5,100 natural gas vehicles, which the company says is the largest fleet of its kind in North America. The company reported using technology at landfill-gas-to-energy facilities to power the equivalent of 470,000 households, offsetting 2.5 million tons of coal per year and 2.5 million tons of carbon dioxide emissions per year. You can view the report here. Biofuels: As previously mentioned, advanced fuels are pivotal to the future of biofuels. The EPA last week denied a request from oil refiners to waive some of their advanced biofuels use requirements from 2016 in the Renewable Fuel Standard. The agency in a letter to the American Fuel and Petrochemical Manufacturers said it was denying the group’s request to waive some of the volumes that previously the agency said would be required for use in 2016, citing short supplies. EPA had set up a waiver credit system to help oil companies meet annual targets set by Congress for required use of cellulosic ethanol. Development of the advanced biofuel industry has been slower than lawmakers expected when they established annual targets in 2007. Biodiesel: Biodiesel so far has been the leading advanced biofuel qualifying for Renewable Identification Credits under the Renewable Fuel Standard. It has an advocate in the industry – General Motors – which has not backed away from selling diesel vehicles after the emissions scandal and so far hasn’t been pulled into it. Biodiesel adds another appealing element to the fuel for the automaker and its fleet clients. 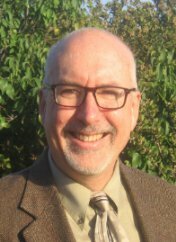 GM and biodiesel: During the National Biodiesel Conference this month, John Schwegman, director of commercial product and medium duty for GM Fleet, announced GM will add to its lineup of B20-capable vehicles, making for the auto industry’s most expansive lineup of diesel-powered vehicles this year. That biodiesel-capable vehicle lineup includes Chevrolet Express full-size vans; Silverado HD full-size pickups; the Colorado midsize pickup; Low Cab Forward commercial truck; 2017 Cruze compact car; and the 2018 Equinox compact crossover SUV. Schwegman said that GM is “very optimistic on the diesel market.” The company has more than two million diesel vehicles on the road today in the U.S. and is making all its existing and future diesel vehicles B20 compliant. New EPA head on RFS: Oklahoma Attorney General Scott Pruitt, who will soon be EPA administrator if approved, is expected to crack down on federal fuel economy and emissions standards; unless the process is too long and dragged out to reverse EPA’s January decision, and if there are clean energy mandates made by the Obama administration that are more important to the Trump administration to overturn. As for the Renewable Fuel Standard, lawmakers from Midwestern states asked about his views on biofuels during the Senate confirmation hearing. Pruitt said he would support the U.S. renewable fuels standard, which requires biofuels like ethanol to be blended in gasoline, but said the program needed some tweaks. He has taken measures against the RFS. As attorney general of Oklahoma, Pruitt in 2013 filed a friend of the court brief with the U.S. Supreme Court in which he argued the EPA ignored the risks that gasoline with more than 10 percent ethanol can pose to vehicle fuel systems as well as the RFS requirement’s possible effect on food prices. He has been prone to support fossil fuel companies. In Oklahoma, he’d received more than $318,000 from fossil fuel companies for his election campaigns. Ethanol advocates have said they’re going to work on being heard by Pruitt. Sen. Chuck Grassley (R-Iowa) would like to speak with him about it. “I look forward to working with the president-elect and his nominees to continue the success of domestic biofuels,” Grassley said. VW settlements and indictments: Volkswagen continued to settle criminal and civil charges with U.S. federal agencies, while six VW executives were indicted by the Department of Justice tied to the German automaker’s diesel emissions scandal. One executive was arrested at a Miami airport while trying to leave for Germany, while five of the six were thought to be residing in that country. Additional VW executives are being investigated and may face charges, Attorney General Loretta Lynch said. In its settlements, VW agreed to pay a $2.8 billion criminal fine to the federal government, and will operate under the oversight of a court-appointed independent monitor for three years. The company will additionally pay $1.45 to settle civil claims filed by the Customs and Border Protection agency over violations of U.S. customs and environmental laws. The automaker will also pay the DOJ $50 million for additional claims falling under the Financial Institutions Reform, Recovery and Enforcement Act (FIRREA). VW is also waiting to see the outcomes and costs coming from investigations by state attorneys general; and from lawsuits brought by shareholders who accuse Volkswagen of waiting too long to disclose the financial risk of its emissions cheating. EPA claims on FCA diesel emissions: The U.S. Environmental Protection Agency on Thursday accused Fiat Chrysler Automobiles of illegally using hidden software to allow excess diesel emissions to go undetected. About 104,000 affected vehicles include the light-duty model year 2014, 2015, and 2016 Jeep Grand Cherokees and Dodge Ram 1500 trucks with 3-liter diesel engines sold in US, the EPA said. FCA vehicles are being investigated for software that calibrates an engine’s performance and controls emissions levels, and that can shut off in certain situations. FCA shares plummeted with a possible maximum fine of about $4.6 billion possibly being filed. Share prices have stabilized in Europe since then. Fiat Chrysler Chief Executive Sergio Marchionne rejected the allegations, characterizing the dispute as whether the automaker had completely disclosed software that protects the engine. Marchionne also said that FCA was planning updated software to address EPA concerns. EPA closes mid-term review: The EPA has finalized its move to end the mid-term review on 2025 fuel economy standards aiming for average mileage to be in the low-50s (and closer to upper 30s mpg on window stickers). The federal agency had received objections from automakers in November when it shortened the timetable for the mid-term review of its mandate to raise corporate average fuel economy of new vehicles; the agency had received public comments on whether to modify the 2022-2025 model year vehicle emission rules. Timing was moved up from April 2018 to January by the EPA, prior to the Trump administration taking over the executive branch. Automakers have been in talks with the Trump transition team, arguing that the strict rules impose significant costs and are not in line with consumers favoring pickups and SUVs over small, fuel-efficient cars. Consumers Union, the policy division of Consumer Reports, praised the decision for offering some protection from future gas price volatility and significant fuel savings, even if gas prices stay down. ACT Expo: The Advanced Clean Transportation (ACT) Expo has released an agenda for the annual event, taking place May 1-4, 2017, once again in Long Beach, Calif. It offers an opportunity to gain insight on the latest trends and technologies driving the future of fleet transportation, including: Available near-zero and zero emission technology from leading OEMs; Volkswagen settlement funds and other lucrative grants and incentives; Current policy landscape: what to expect from the new Trump Administration; Future of heavy-duty trucks: ultra-efficient, platooning and automated trucks; Developments in electric vehicles and charging infrastructure for all applications; Increasingly sustainable and connected urban mobility; and, The role of fleet vehicle operations in Smart City. There’s a Call for Abstracts, due February 3, for presenters interested in speaking at the conference. DME-powered trash truck: Oberon Fuels said that it has its first customer demonstration of a Dimethyl Ether (DME)-powered Mack truck, a Mack Pinnacle. Oberon, a DME producer, and Mack are working with the NYC Department of Sanitation (DSNY) to operate the demonstration vehicle at the Fresh Kills Landfill, and evaluate performance and overall drivability. The test is the first step in the city’s evaluation of both DME trucks and DME fuel as a potential long-term strategy to help reduce greenhouse gas emissions by 80% by 2050; and to achieve the city’s goal of sending zero waste to landfill by 2030. 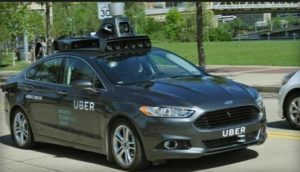 Self-driving Uber cars: Although Uber is setting up autonomous vehicle test projects around the country, the company has no plans to replace all its drivers with robots. Speaking last week at the Automotive News World Congress in Detroit, Sherif Marakby, vice president of global vehicle system for Uber, said that drivers’ jobs will not be eliminated. The key benefit to bringing autonomous vehicles into its fleet will be to reduce costs to customers during peak demand times when prices can skyrocket up as much as five times the normal fare rate. Several Uber customers have been complaining about this “surge pricing” practice as a form of gouging. “The biggest problem in ride-sharing is supply — having enough drivers in peak times. Automated vehicles will help smooth out surge times,” he said. Free Tesla charging fading away: Supercharging is only going to be free for limited periods of time for Tesla drivers. Starting January 15, the company enacted a new program offering Model S and Model X owners that give them about 1,000 miles, or 400 kilowatt-hours, per year for free. From there, the cost for Supercharging will differ from state to state and province to province. Examples of what it will cost include a trip from San Francisco to Los Angeles, a distance of 383 miles, that will cost about $15. Driving from Los Angeles to New York will cost about $120. Two electrified vehicles in Detroit: Guangzhou Automotive Corporation (GAC) was the only Chinese automaker at the Detroit auto show this month. Two thirds of its new launches are electrified vehicles. The GE3 is a new electric crossover, the first vehicle based on GAC’s new electric-car platform. It will be launched on in China in March. The platform will be used in an upcoming sedan, an SUV, and a multi-purpose vehicle (MPV). The GAC EnSpirit is a plug-in hybrid concept car previewing a sporty coupe-SUV. The third vehicle is a GS7, a five-seat gasoline-engine SUV. It is a smaller version of the existing seven-seat GS8 SUV. GAC is the fifth largest automaker in China, and builds vehicles with joint venture partners, FCA, Honda, Mitsubishi, and Toyota. The Chinese automaker also manufactures vehicles under its own Trumpchi brand. That brand name wasn’t promoted at the Detroit auto show. Nearly all the market forecasts you’ll read on plug-in electrified vehicles mention government incentives as essential for seeing sales numbers grow. These include tax credits and rebates, and in the U.S. that breaks down to available federal tax credits and a few states that are offering rebates and other attractive incentives. 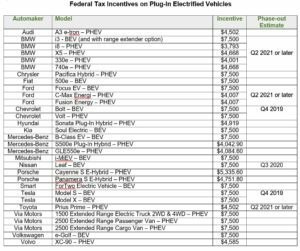 As for the federal tax credits that come with purchasing a PEV, the highest credit of $7,500 applies to battery electric vehicles (with a few exceptions); plug-in hybrids are usually seeing tax credits in the $4,000 to $5,000 range. These tax credits do phase-out out eventually, based on how many PEV units have been sold. InsideEVs has published an analysis piece looking at the current state of tax credits per automaker. Whether the new Trump administration will work to continue the tax credits is unknown. The program could be reviewed and adjusted sometime in the second half of 2017. It’s also possible that the new administration could let tax credit incentives fade out and disappear by not renewing them. Each automaker’s qualifying PEV receives a federal credit until the 200,000th plug-in vehicle is registered inside the U.S.; at that point, tax credits are reduced and then phased-out over an allotted time period. Once the 200K mark is reached, the full tax credit continues through the end of that quarter and until the end of the next one. Credits on a $7,500 tax credit will drop to $3,750 for the next six months, and then to $1,875 for the next six months before going away. The chart below shows the phase-out quarter being the estimated time period when the tax incentive disappears. BEV = battery electric vehicles or all-electric vehicles. PHEV = plug-in hybrid electric vehicles. Several of the vehicles listed on the U.S. Department of Energy’s Fueleconomy.gov have been discontinued from production, such as the Cadillac ELR, Chevrolet Spark EV, and Honda Accord Plug-in Hybrid. The chart above only lists vehicles currently being sold at retail lots. Phase-out estimates include vehicles previously sold qualifying for tax credits that have ended production and are no longer being sold. $7,500 tax credits usually apply only to battery electric vehicles; however, manufacturers were able to get $7,500 credits for a few plug-in hybrids, including the Chrysler Pacifica Hybrid, Chevrolet Volt, and Via Motors’ extended range trucks and vans. Fuel cell vehicles (Toyota Mirai and Honda Clarity) qualified for $8,000 federal tax credits, and the Hyundai Tucson Fuel Cell for a $7,500 credit. These tax credits had been set to expire at the end of 2016 but could later be extended. Manufacturers that have no phase-out estimates listed in the chart will take beyond 2021 to see their phase-out, as they’re far from reaching the 200,000 units registered units in the federal tax credits. Tesla Motors has the earliest phase-out in this forecast. The Tesla Model 3, which will launch by late this year, is behind the estimate of Tesla being the first automaker to lose its available tax credits. As for state incentives, Tesla reports that 15 states offer electric vehicle incentives, along with the Canadian provinces of Ontario and Quebec. 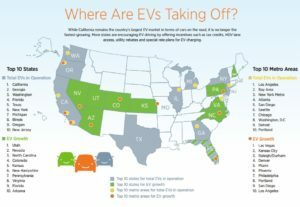 California’s attractive $5,000 rebate not long ago was split in half to $2,500; Rhode Island is the second state to offer a $2,500 rebate, which is the highest available rebate in the U.S.
Tesla reports that only four states will have HOV carpool lane stickers available as an incentive to buy in that state. These states are: Arizona, Hawaii, Nevada, and Utah. California isn’t listed as one of them, though the state reports that white clean air stickers for battery electric and hydrogen fuel cell vehicles will be available through the end of 2018; and green stickers for plug-in hybrids will be available indefinitely. Incentives vary by state, where some programs include PEV purchasing and HOV carpool lane stickers, and others include charging and parking incentives. Plug In America offers a state-by-state PEV program map with detailed reporting by state. Detroit auto show: The North American International Auto Show has not been dominated by certain vehicle types, such as pickups and SUVs might have done in the past. Plug-in electrified vehicles have played their part, along with futuristic concept vehicles and mobility services. Back-to-back with the influential CES 2017 show in Las Vegas, the two car shows have had a few things in common. Volkswagen’s I.D. Buzz has taken a lot of attention. 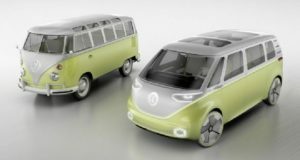 The electric microbus of the future is built on the MEB platform and may be able to travel 270 miles once fully charged. It offers maximum space utilization with all-wheel drive, electric motors at the front and rear axles, a fully autonomous driving mode (“I.D. Pilot”), and a new generation of display elements and controls…. The all-new Chevy Bolt electric car continues to win big awards, taking the North American Car of the Year award. The Chrysler Pacifica minivan was named North American Utility of the Year, the first time the award has been given out, and it also comes in a plug-in hybrid variation….. BMW showed its new 530 iPerformance plug-in hybrid. At 248 hp, it will go to 60 mph in about 5.9 seconds. It will also deliver up to 14 miles in all-electric mode, earning an EPA-rated 64 MPGe. The rear-wheel drive version will start at $51,400 while the all-wheel drive xDrive version will begin at $53,700…… Ford presented its vision for the “City of Tomorrow.” It looks at how near-term mobility advancements – including autonomous and electric vehicles, ride-sharing, ride-hailing, and connected vehicles – interact with urban infrastructure and create a transportation ecosystem to deal with challenges such as gridlock and air pollution. Ford’s City Solutions team has been working with cities around the world to propose, pilot, and develop mobility solutions. The team also is beginning to collaborate with Bloomberg Philanthropies and its global coalition of mayors…… Toyota rolled out a redesigned 2018 Camry with more interior space, advancements in its drive system, and a hybrid version that gets Prius-like fuel economy……… Waymo CEO John Krafcik announced that the former Google self-driving car division has been able to drop the cost of its Lidar sensors from about $75,000 per vehicle to about $7,500, which will help lower the cost of autonomous vehicle technologies for interested automaker partners. These new Lidar systems will be installed soon in 100 self-driving Chrysler Pacifica minivans that Waymo acquired from Fiat Chrysler Automobiles…… Audi unveiled the all-new Q8 SUV plug-in hybrid that will be out in production next year. It will be Audi’s second plug-in hybrid to enter the U.S. market, following the Audi A3 Sportback e-tron station wagon. 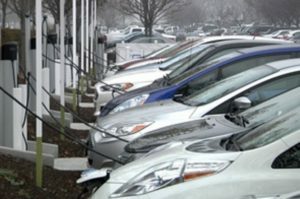 Green car sales: The Tesla Model S took back the No .1 spot in plug-in vehicle sales during December, bumping out the Chevy Volt, according to sales figures from HybridCars.com and Baum & Associates. Chevrolet did have a good month with the brand-new Chevy Bolt coming in at No. 10 with 579 units sold, far more than a few other electric cars had seen at their birth in the marketplace. The Volt came in at 3,691 units sold (following the Model S at 5,300 in estimated sales). The Volt beat its previous all-time of high 3,351 sold. The Toyota Prius Prime did pretty well, closing the month at 1,641 units sold. Plug-in sales were up 64.8% over the previous month and up 73.9% over December 2015. Hybrid sales were up 21.2% over November and up 6.5% over December 2015. Faraday Future at CES: While the future of Faraday Future has been called in question with key executives leaving and as lawsuits have been filed by unpaid suppliers, CES 2017 turned out to be about as good for the startup as it was the year before. Revealing its FF91 electric SUV has gone well so far, with the company announcing that 64,124 reservations were placed within 36 hours of its launch at the show. The company didn’t clarify how many in this group made their $5,000 down payment. Faraday Future says that it’s a production car and deliveries will begin in 2018. Will the company be able to get through its tough times and have its North Las Vegas consistently running at full speed? ChargePoint Express Plus: ChargePoint has launched ChargePoint Express Plus, a fast DC charging solution that is ready for the electric cars, buses, and trucks. Express Plus can charge today’s newest electric vehicles, such as the Chevy Bolt, at their maximum rate; is equipped to charge upcoming EVs such as the Tesla Model 3 and is ready to deliver maximum charging speed to EVs coming to market in the years to come. A modular platform designed for businesses and charging centers along major roadways or transit depots, Express Plus can deliver up to 400 kilowatts (kW) to an EV, the company said in its release. Gigafactory starts up: Tesla Motor’s Gigafactory in the Reno, Nevada, area has started rolling its first battery cells off production lines to power the company’s energy storage products and, before long, the Model 3 electric car. More than 2,900 people are already working at the facility, and more than 4,000 additional jobs (including temporary construction jobs) will be added during 2017 through the partnership between Tesla and Panasonic Corp. Tesla also plans to begin shipping the Powerwall 2 home batteries by the end of this month, at prices that by some estimates are 30% cheaper than the closest competitor’s product. Chrysler Portal: Chrysler unveiled its 250-mile range Portal electric minivan Concept at CES 2017 that may have autonomous vehicle capabilities. The new EV will offer touch screens, ports, and social media options to find interest from Millennial car shoppers. 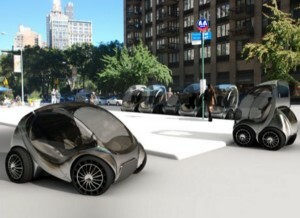 Parent company FCA said it will be an urban mobility vehicle of the future. The six-passenger minivan “explores the possibility of what a family transportation vehicle could look like,” Chrysler said. Toyota AI concept car: Toyota Motor Corp. revealed the “Concept-i” at CES 2017. Embedded in the concept car is “Yui,” Toyota’s artificial intelligence system. Yui monitors driver behavior, interacting with the driver to facilitate the driver-vehicle relationship customized to the driver’s tastes, patterns, and road conditions. Toyota said it was built from the inside out, with a focus on making it immersive, energetic and, approachable. The Concept-i “will enhance that relationship between car and driver.” Toyota said it will be testing some of the concept vehicle’s technologies on Japan’s roads in the next few years. Volvo carsharing: Volvo Cars will establish a new shared mobility business unit as part of a broad expansion of its carsharing and mobility services strategy. It will be based around Sunfleet, one of the world’s first car sharing companies that has been operated by the automaker since 1998. Based in Sweden, the Sunfleet division has around 50,000 subscribers generating approximately 250,000 transactions in more than 50 Swedish cities, the company said. Clean Energy stock value: Natural gas prices have risen over 30% in the last two months to current levels of around $3.30 per million British thermal units since the beginning of November 2016. That rally in pricing should be good for business for Clean Energy Fuels, according to a Seeking Alpha investor and analyst. Clean Energy should be able to enter into fuel contracts at better prices. Growth may come from the transit bus and refuse truck markets. About 60% of new refuse trucks are operating on natural gas in the U.S., the analyst said. Battery cells for EVs: Volkswagen Group is weighing and balancing a big decision as it prepares to hit its ambitious target of manufacturing up to three million electric vehicles per year by 2025. The German automaker is reviewing bids from six battery cell suppliers for its EV lineup. Several other automakers are in a similar situation as VW – should they manufacture their own battery cells? Tesla Motors and Panasonic have started this process at the Gigafactory in Nevada this month, but other automakers are tending to see outsourcing to more than one battery cell manufacturer as the necessary way to go. 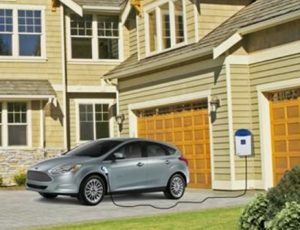 Ford announces seven of 13 electrified vehicles: Ford CEO Mark Fields gave a speech this morning announcing the introduction of an all-new battery electric small SUV, coming by 2020, which has been engineered to deliver an estimated range of at least 300 miles. It’s one of seven of 1 3 new global electrified vehicles the automaker plans to introduce in the next five years, including hybrid versions of the F-150 pickup and Mustang in the U.S., and a plug-in hybrid Transit Custom van in Europe. A high-volume autonomous hybrid vehicle designed for commercial ride hailing or ride sharing will be launched globally in 2021, starting in North America. Ford will also launch two new, pursuit-rated hybrid police vehicles. The automaker will be adding 700 direct new U.S. jobs and investing $700 million during the next four years, creating the new Manufacturing Innovation Center at its Flat Rock Assembly Plant in Michigan. China cutting new energy vehicle subsidies: Makers of plug-in cars, commercial trucks, and buses will have their generous subsidies cut this year by the Chinese government in the wake of misreporting of production and sales to the government. The Ministry of Finance put caps on subsidies and increased technical specifications required to receive funding, Reuters reported. News had surfaced in September about a scandal with false reports being submitted, along with failure to meet technical requirements needed to gain more “new energy vehicle” government funding for plug-in hybrid and all-electric vehicles. Subsidies have been considered to be primary driver for making China the world’s largest market for EV sales. Busmakers had their subsidies cut in half, from a previous cap of 600,000 yuan (about $86,000) down to 300,000 yuan ($43,000) per vehicle. For plug-in passenger cars, incentives started being reduced with a 20% drop in 2017. Medium and heavy-duty trucks, and specialized-use vehicles will be capped at 150,000 yuan ($21,584). Local government subsidies will be capped at 50% of what the national government is making available. Technical specs include measuring by energy density and range requirements. Fast chargers for buses will receive more in subsidies. The national government has also been adding automakers to its list of companies being granted licenses to manufacture plug-in vehicles and receive subsidies. A division of Jiangling Motors became the seventh company allowed in the system in late December; Chinese auto parts supplier Wanxiang Group, owner of Karma Automotive and A123 Systems, was added earlier in the month. Nissan plug-in hybrid: Nissan may be manufacturing a plug-in hybrid electric vehicle, according to a senior Nissan official. The collaboration forged last year between Nissan-Renault and Mitsubishi would mean that the new plug-in model will use technology from the Mitsubishi Outlander PHEV. Takashi Shirakawa, head of R&D for Nissan Europe, said that the Nissan plug-in hybrid will use Mitsubishi technology. The Outlander PHEV has become the top-selling plug-in electrified vehicle sold in Europe. It’s due to come the U.S. sometime this summer. Nissan so far has had all-electric models in its lineup, the Leaf and the e-NV200 concept van. In the first part of December, Japan’s Nikkei reported that Nissan-Renault will be collaborating with Mitsubishi on a common EV platform. The global automaker said the goal of the common framework was to reduce the price of an EV by about 20 percent, and more in line with the price of gasoline-powered vehicles. Key components, such as the motor, inverter, and battery, will be shared by Nissan-Renault and Mitsubishi. From Volt to Bolt: It’s taken a little less than 10 years from the introduction of the Chevy Volt concept at the 2007 Detroit auto show until affordable, long-range electric Chevy Bolts started being delivered to the first buyers. Automotive News covered the history of these plug-in vehicles, including General Motors’ bankruptcy and the important role both the Volt and Bolt have been playing as GM has reinvented its corporate identity in the industry. It’s been over 20 years (1996) since GM launched the EV1 in very limited numbers; but that electric car has been credited many times in the history of electric vehicles; including GM now working hard at making up for having quickly pulled the EV1 off the assembly line. GM’s investment in ride-hailing firm Lyft and their joint testing of self-driving Bolts marks a landmark in the changing role automakers are taking on in electrification, autonomous vehicles, and mobility services. Autopilot features added: Tesla Motors continued putting the pieces in place for its fully autonomous hardware to move forward – and to keep it integrated with the semi-autonomous Autopilot system. CEO Elon Musk tweeted Saturday about the company beginning testing Autopilot safety features through a software upload to 1,000 new Tesla vehicles that have been built with the fully-autonomous hardware. Model S and Model X vehicles built after October have the fully-automated features built in, in what Musk calls “Hardware 2;” these new vehicles had Autopilot safety features left out for testing later to make sure they’re compatible. The 1,000 vehicles received a software upload with the Autopilot safety features added over the weekend to work out any problems; and to bring them in line with older Model S vehicles that had received Autopilot hardware once it started being added in September 2014. Propane vehicles sales growth: Roush CleanTech has found converting and selling propane-powered school buses to be taking off in the market, along with its propane vans and heavy-duty pickups. 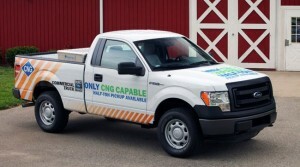 It took the company six years to sell over 14,000 propane vehicles, but the company is on track to sell 6,000 more vehicles converted to run on propane autogas by the of 2017. The company says that it’s been able to make the business case that propane makes for a better, more cost effective alternative fuel than compressed natural gas. LCFS summit: Calstart is holding the fifth annual Clean, Low-Carbon Fuels Summit on February 27-28, 2017, in Sacramento. The Summit is known for being one of the premier gatherings which brings together legislators, regulators, and industry executives to discuss what is needed for the low-carbon fuels industry. This year’s program will jointly focus on opportunities for California, as well as developments happening in other states and Canada. We will also be taking stock of what the incoming US presidential administration means for the clean, low-carbon fuels industry. For the first time, the Summit is open to the public. You can receive the early bird rate if you register by January 14. FCA automated electric car: Fiat Chrysler Automobiles unveiled a new, semi-autonomous electric minivan at CES in Las Vegas yesterday. Called the Chrysler Portal, the vehicle was “created by millennials for millennials,” according to FCA. The automaker worked with Samsung Electronics as its provider of 360 degree cameras and other sensors, and Panasonic Automotive as its supplier for infotainment, wireless connectivity and audio systems, the company said. Michigan now leading the way: Last month, Michigan Gov. Rick Snyder signed a package of bills to clear the way for self-driving cars to operate on public roads and re-establish the state as the leader in automotive innovation. The Michigan bills establish regulations for the testing, use, and eventual sale of autonomous vehicle technology, and were crafted to more clearly define how self-driving vehicles can be legally used on public roadways. The new laws allow testing of vehicles without steering wheels, pedals, or needed human control – which aims to propel Michigan ahead of California, which had been the leading state in the U.S. for testing autonomous vehicles. The federal government is going in that direction as well, issuing long-awaited guidelines backing fully autonomous vehicles in September. The U.S. Department of Transportation would like to see uniform, national policies applying to autonomous vehicles. In a joint appearance, Anthony Foxx, secretary of the U.S. Department of Transportation and Jeffrey Zients, director of the National Economic Council, released guidelines that encourage technology innovations from companies balanced with concerns over public safety. Uber continued testing its self-driving vehicles in Pittsburgh, but decided to move from California to Arizona. Uber last month used Otto flatbed trucks to move its autonomous Volvo cars to Arizona after the California Department of Motor Vehicles revoked registration of the company’s self-driving cars. California had made regulatory threats to Uber, and things got worse when the ride-hailing company refused to purchase $150 permits for testing autonomous cars that the state requires. There may be more than the 16 self-driving vehicles that had been tested by Uber in San Francisco, and the company hasn’t provided a date on when testing will begin in Arizona. Google has renamed its Self-Driving Car Project as “Waymo.” Waymo will be an independent unit within the Alphabet parent company. While the company had previously been an advocate of fully autonomous vehicles without steering wheels or pedals, it may be backing away from that stance. Google co-founder Larry Page has been reported to be rethinking his company’s mission. Alphabet/Google, along with Apple, are now looking into partnering with automakers as technology suppliers rather than investing heavily, and going through the complex regulatory process, needed to manufacture their own autonomous vehicles. Honda has been in talks with Waymo to test out some of the autonomous vehicle technology in Honda’s vehicles. Both companies said that it’s a research project and not a manufacturing agreement to jointly manufacture autonomous vehicles. Honda may choose to provide Waymo with vehicles that are modified to run on Google’s self-driving system; those Honda vehicles would join the existing Waymo test vehicles currently being tried out in four U.S. cities. Honda follows Fiat Chrysler Automobiles in creating a self-driving vehicle test program. FCA announced in December that it has completed building 100 minivans that are being outfitted with autonomous vehicle equipment for Waymo. The Chrysler Pacifica Hybrids (plug-in hybrid vehicles) recently were completed at the automaker’s Windsor Assembly Plant. Google and parent company Alphabet have also been reported be in talks with FCA about starting up a ride-hailing and ridesharing service using Chrysler Pacifica minivans. Tesla Motors is planning to demonstrate a Tesla vehicle traveling cross country in fully autonomous mode by the end of 2017. During a fall conference call announcing fully autonomous capable hardware, CEO Elon Musk said the company’s goal is to demonstrate a vehicle traveling safely from Los Angeles to New York using the new technology by the end of this year. The software for reaching the fully self-driving mode will need to be validated and approved by regulators before being released to the public. Model S and Model X vehicles equipped with hardware for full autonomy are already in production, and the upcoming Model 3 will have it as well, Musk said. Semi-autonomous features will continue to be available through the Autopilot feature, but Tesla has separated Autopilot from the new fully autonomous features after the fatal crash in Florida was reported last summer. If all of this works out and receives government approval, Tesla would likely lead the market in autonomous technologies. Tesla may have a fully automated vehicle for sale by 2018, beating Ford and BMW, which have committed to rolling out fully autonomous vehicles by 2021. China would like to become the world’s largest market for plug-in and autonomous vehicles. The Chinese government released a policy report on setting national standards for autonomous vehicles. It’s taking an optimistic approach: “partially autonomous,” will make about 50% of new vehicle sales in China by 2020. “Highly-automated” cars (close to being fully automated) will make up 15% by 2025; and fully autonomous vehicles will account for 10 percent of new vehicle sales by 2030, according to the report. The report also forecasts that “new energy vehicles” (plug-in hybrid and all-electric vehicles) will make up 40% of the 38 million new vehicles sold in China during 2030. That would make for about 15 million new plug-in vehicles coming to market that year. By 2030, the report expects to see “new energy vehicles” (plug-in hybrid and all-electric vehicles) make up 40 percent of the 38 million new vehicles that will be sold in China during 2030, or about 15 million units. Impact of autonomous vehicles on fuel consumption: Massachusetts Institute of Technology (MIT) engineers have conducted a study of a vehicle-platooning scenario and determined the best ways to deploy vehicles in order to save fuel and minimize delays. Their analysis, presented last month at the International Workshop on the Algorithmic Foundations of Robotics, shows that relatively simple, straightforward schedules may be the optimal approach for saving fuel and minimizing delays for autonomous vehicle fleets. The findings may also apply to conventional long-distance trucking and even ride-sharing services. Navigant Research may not agree with those findings. Navigant just released a study which analyzed how fuel is likely to be affected by the growing use of automated mobility systems in light-duty passenger and medium-to-heavy duty goods vehicles. Usage of petroleum and alternative fuels is likely to go up with growing transportation demand in developing nations like China and India; and in developed countries that are seeing surging demand for mobility services and automated systems. Automakers took serious steps forward during 2016 showing their commitment to mobility services and the changing identity of automakers in the near future. GM’s investment in carsharing brand Maven, along with $500 million in Lyft and $1 billion acquisition of Cruise Automation, seemed to start the trend. GM will be testing self-driving versions of the Chevy Bolt all-electric car with Lyft. Maven is considered to be a serious competitor to Zipcar and other carsharing services. Ford Motor Co. last year acquired shuttle service Chariot and forged a partnership with bike-share program Motivate. The automaker sees the importance of tapping the market value by turning to low-fixed cost and less capital revenue streams like Chariot and Motivate, said Ford executive chairman Bill Ford. In March, the company the creation of Ford Smart Mobility LLC, a new subsidiary formed to design, build, grow and invest in emerging mobility services. Toyota launched a Mobility Services Platform (MSPF) to support emerging mobility services like carsharing. The platform will be used to collaborate with service providers and telematics insurance carriers. In May, Toyota and Uber forged an alliance that will create new leasing options. Car buyers can lease their vehicles from Toyota Financial Services and cover their payments through earnings generated as Uber drivers. Toyota also created another alliance tied to the launch of MSPF with U.S. carsharing company Getaround. The two companies will start a pilot program this month in San Francisco. BMW is moving its ReachNow carsharing service forward. During the L.A. Auto Show’s AutoMobility days, BMW announced that four new services will be launched in four North American cities. A new ridesharing service competes with Uber and Lyft and offers members an on-demand ride service where a driver shows up with a car. ReachNow Ride was scheduled to start up as a pilot program in Seattle last month, and it will be available to all members in early 2017. Tesla Motors will launch Tesla Network with self-driving capabilities in 2017. In his “Master Plan, Part Deux” in July, Tesla CEO Elon Musk included a system in which a Tesla owner could add a car to a shared Tesla fleet using a mobile app. That’s where Musk introduced the concept of the Tesla Network where the electric automaker will be entering into ridesharing and carsharing services that will be a revenue model for Tesla. The company has been released a few more details lately on its blog and website. Tesla doesn’t want its car owners to use these electric cars for Uber and Lyft rides. “Please note that using a self-driving Tesla for car-sharing and ride-hailing for friends and family is fine, but doing so for revenue purposes will only be permissible on the Tesla Network, details of which will be released next year (2017),” according to a recent Tesla website statement. Volkswagen made a series of announcements as it emerges from the “Dieselgate” scandal and commits to vehicle electrification and globally competitive mobility services. The German automaker kicked things off earlier this year by investing $300 million in on-demand transportation service Gett. At that time, the cab-hailing startup had operations across about 60 cities around the world. The German automaker also launched its Moia brand last month, stating that it expects it to become one of the largest mobility providers in the world. The new business will initially offer electric ride-hailing and carsharing services. Electric shuttles will likely be the first fleet vehicles rolled out to customers and they’ll soon be automated, the company said. VW also bought Vancouver-based parking-payment operator PayByPhone, which processed more than $250 million in transactions this year. The automakers wants to become the leader in mobile payments for parking. VW’s financial services unit had previously taken a 92 percent stake in Sunhill Technologies GmbH, Germany’s market leader for mobile parking payments. Another recent announcement by VW was adding a ride-hailing service in Rwanda as part of its mobility services to compete with Uber’s strong presence in Africa and other regions. 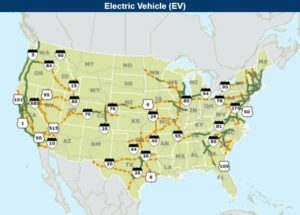 The Federal Highway Administration released a map in November showing 55 routes across the U.S. for charging plug-in vehicles and refueling alternative fuel vehicles, with 48 designated charging routes in the new corridor. The Alternative Fuel Corridors covers 35 states and nearly 85,000 miles, according the U.S. Department of Transportation’s FHWA. More miles will be added to the network to accommodate electric, hydrogen, propane autogas, and natural gas vehicles as more alternative fueling and charging stations are built. 50-kW CHAdeMo or Combined Charging System (CCS) fast chargers are about as fast it gets. EVgo has started constructing a 350-kW fast charging station in Baker. The charger company says that these chargers will be seven times faster than any fast chargers currently available, and that they represent a new level of convenience. Electric vehicles with the biggest battery packs that travel the farthest per charge will be able to get 80% charged in less than 20 minutes. Renewables: While not yet officially announced, Scientific American just reported that renewable-energy sources such as solar and wind are expected to account for 8% of U.S. electricity-generation capacity in 2017, according to the U.S. Department of Energy. Solar growth is behind much of it. For the first time ever, new solar-generating capacity is expected to exceed new generating capacity for wind and natural gas, according to the report. The federal report won’t be available until March, but Scientific American reported that the volume of new solar installation and their energy capacity is expected to outpace both wind and natural gas as energy sources. Natural gas isn’t counted as a renewable energy, but has become an important source of energy powering electric plants in recent years as the country has been moving away from coal power. Renewable diesel and conventional electricity used to power electric vehicle will be the near-term winners in low-carbon transportation fuels under the Lux analysis, followed by renewable electricity to charge EVs in third place. Canada has embraced LCFS as its national standard. In November, Canada announced that the country will adopt a national clean fuels standard. The national standard studies low-carbon fuel standards being used in California, Oregon, and British Columbia, according to a report.